Tricolor Cockades -This cockade is approx. 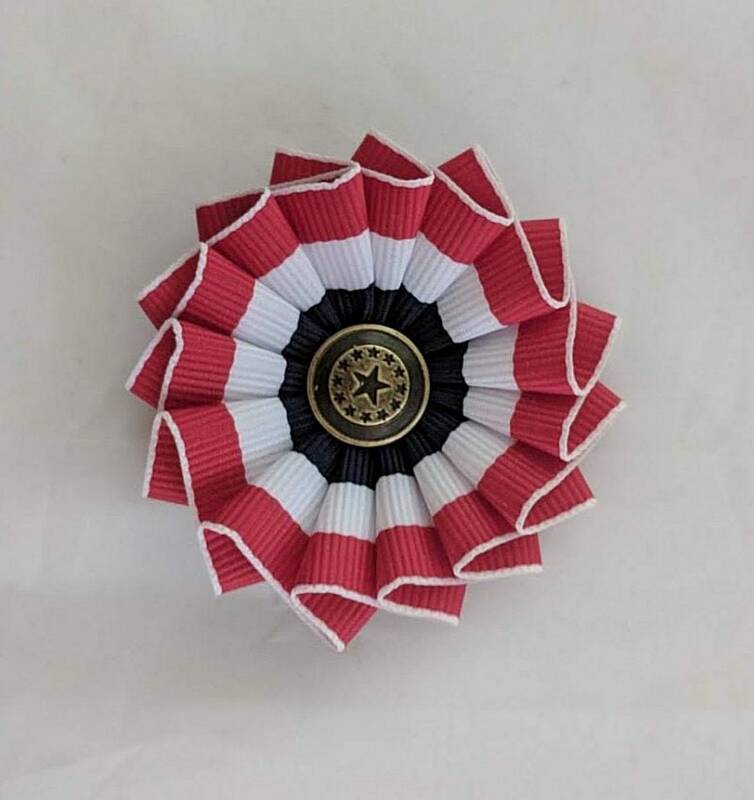 2 1/2" in diameter and made with 7/8" grosgrain ribbon with an antique gold multi star button in the center and a felt backing. 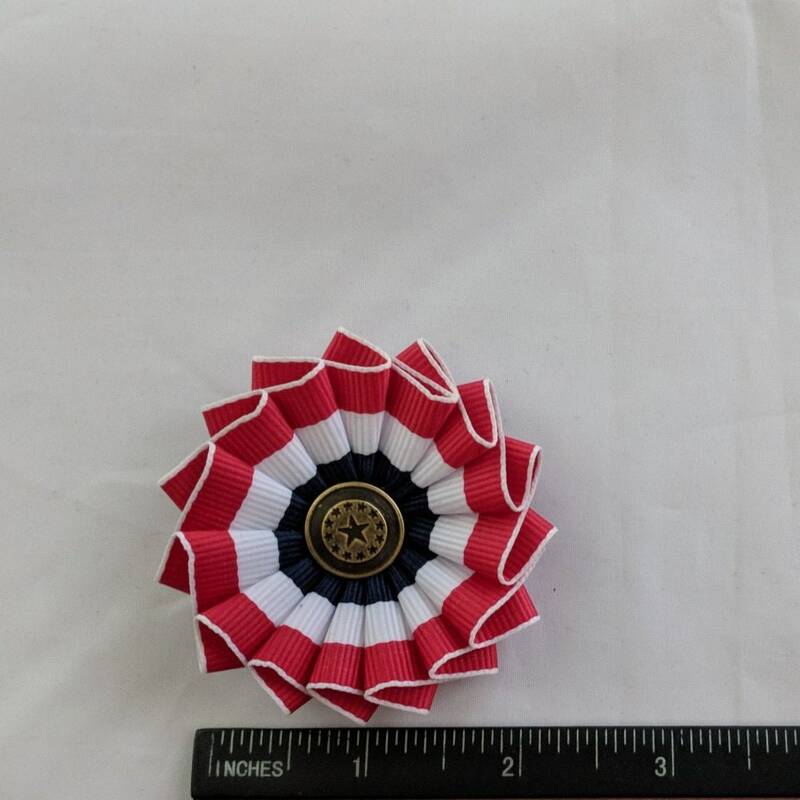 There is a bar pin on the back for attaching them to clothing or a cloth hat. 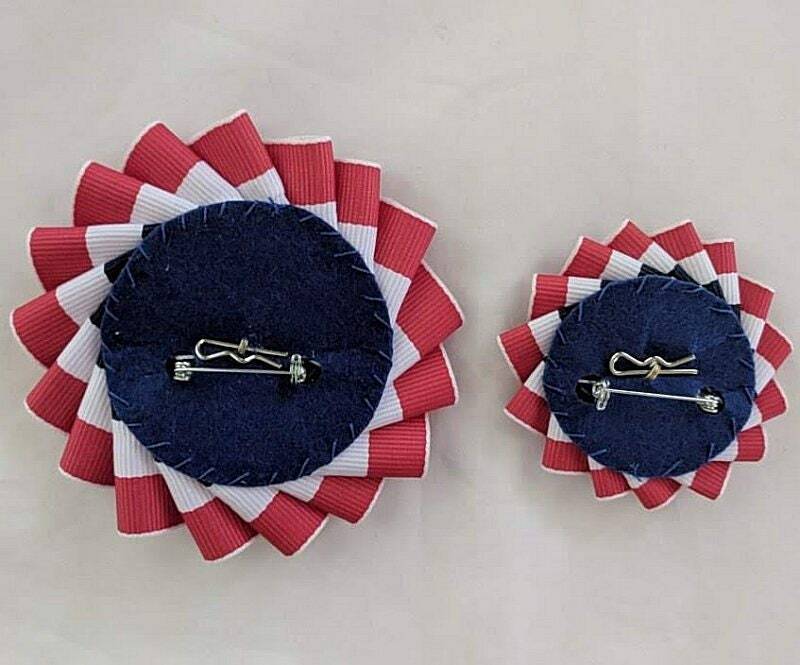 These can be ordered with fleur de lis buttons to represent the France. We can also make the smaller one with rainbow colors and a plain gold center. We also have this style of pleated cockade in black with a skull button. Convo us with a custom order request, if interested. HISTORY: Cockades were widely worn by revolutionaries beginning in 1789. They now pinned the blue-and-red cockade of the Paris militia onto the white cockade of the Bourbon dynasty - thus producing the first original Tricolore cockade. The tricolore cockade was created in July 1789. White (the royal color) was added to nationalize an earlier blue and red design. 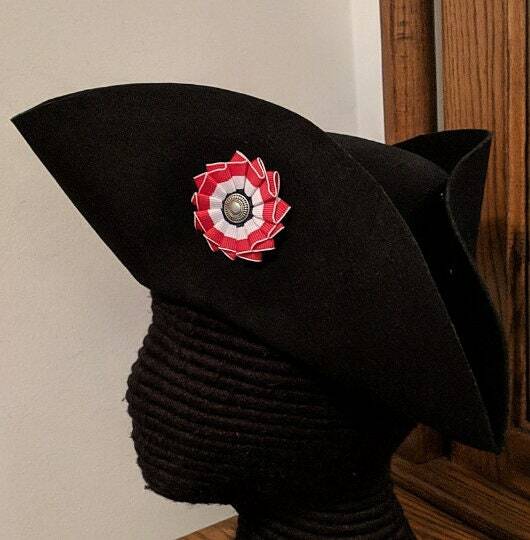 This cockade was adopted as part of the uniform of the National Guard, the national police force that succeeded the militia after Bastille Day. The Society of Revolutionary Republican Women, a militant group on the far left, demanded a law in early 1793 that would compel all women to wear the tricolore cockade to demonstrate their loyalty to the Republic. The law was passed but was violently opposed by other groups of women. The Jacobins in charge of the government decided that women had no place in public affairs, and disbanded all women's organizations in October 1793.